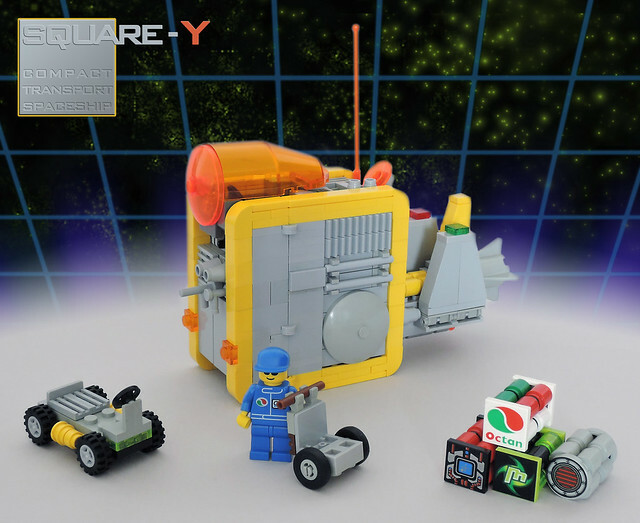 Play Space | Spaceship! Spaceship! Spaceship! 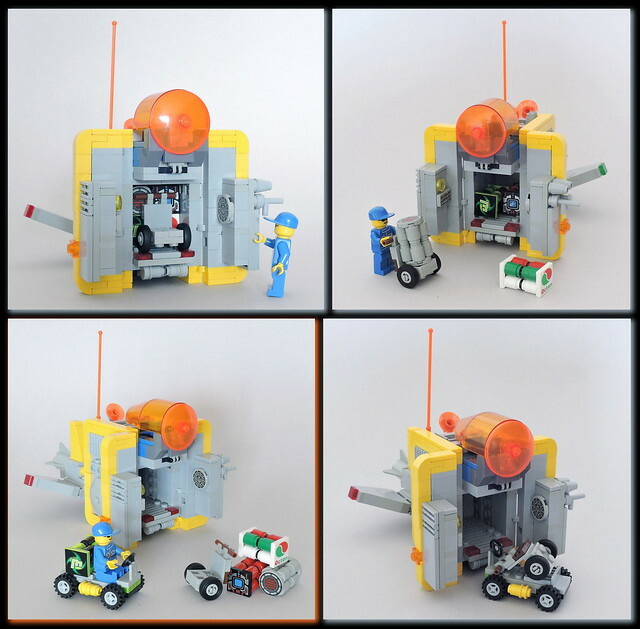 What do I like about this little Cargo Spaceship by spaceruner? One word: playability. 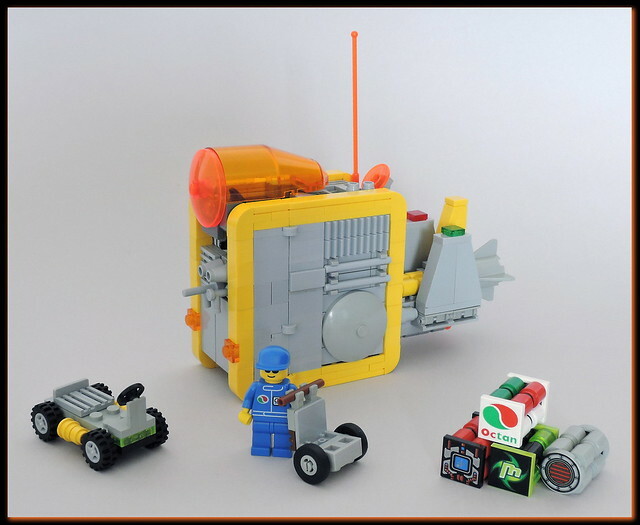 This is a really sweet little build that would have been enormous fun to play with when I was 8 years old. It’s got this really cute square shape, marked out in a striking colour scheme with yellow edges and a fun trans orange bubble window on top – so it just looks FUN to swoosh around. But when we swoosh in to land we get to open up the front, disgorge the little buggy and scoot the little cargo pods back and forth, loading the ship to blast off on another delivery. This kind of detail might seem like it’s just a neat extra to an adult, but anyone with small children will know this is seriously engaging entertainment. Kids don’t necessarily need added conflict and stud shooters to enjoy playing with spaceships – just loading and unloading this thing is going to be hours of fun. The cockpit’s got some lovely old-school detailing (hello incongruous steering wheel!) and it looks like if a customer doesn’t pay their shipping fees the massive gatlin gun can tear them to shreds! Maybe it DOES have an element of conflict after all! This entry was tagged minifig scale, MOC. Bookmark the permalink.